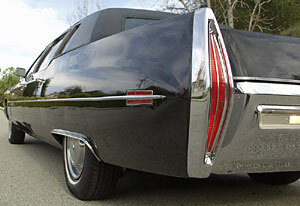 A factory 71 Cadillac Fleetwood Series 75 Limousine! Ever since the invention of the wheel, people of exalted status and wealth would prefer to be driven instead of taking the volant themselves. 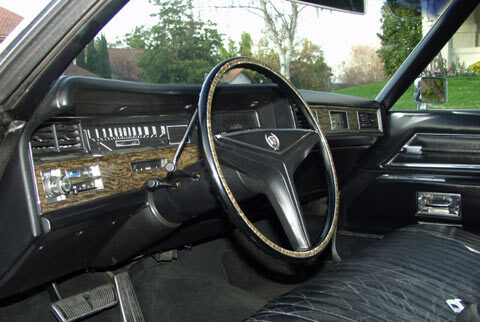 Well into the 1970s, manufacturers of the World's finest automobiles catered to this clientele with special versions of their top-of-the-line models, featuring all the amenities the rich and famous wished to retain, including electrically operated divider windows to separate themselves from "the help." 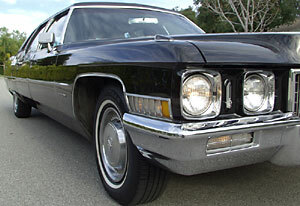 In the Old World, those who could afford the most dignified mode of transportation could choose between a Rolls Royce Phantom or Grosser Mercedes 600 Pullman; on this side of the Atlantic, by 1970 just one luxury marque offered a long wheelbase version right off the showroom floor: Cadillac, with its Fleetwood Series 75 sedan and limousine. Both of these majestic models were prohibitively expensive. 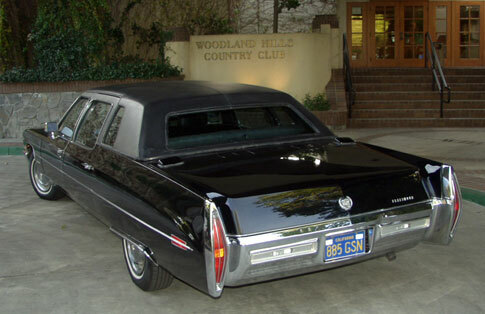 The Series 75 9-seater Limousine for auction here topped the Cadillac list with an otherworldly $12,0008.00 price tag - in 1971, this amount could have bought you a small bungalow in beautiful downtown Burbank! Few 9-seater limousines were made, just 848 to be exact. Here is one of them, and a special one at that! 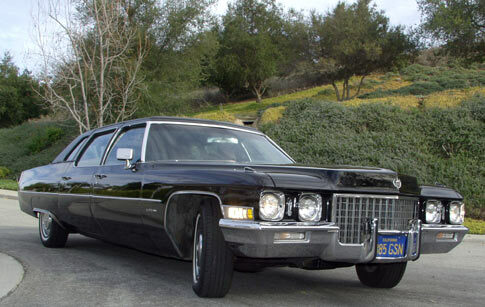 One of just a handful of surviving 1971 Fleetwood Series 75s, this majestic automobile seems to have spent most of its life under a glass bubble. That's not too far from the truth, really. 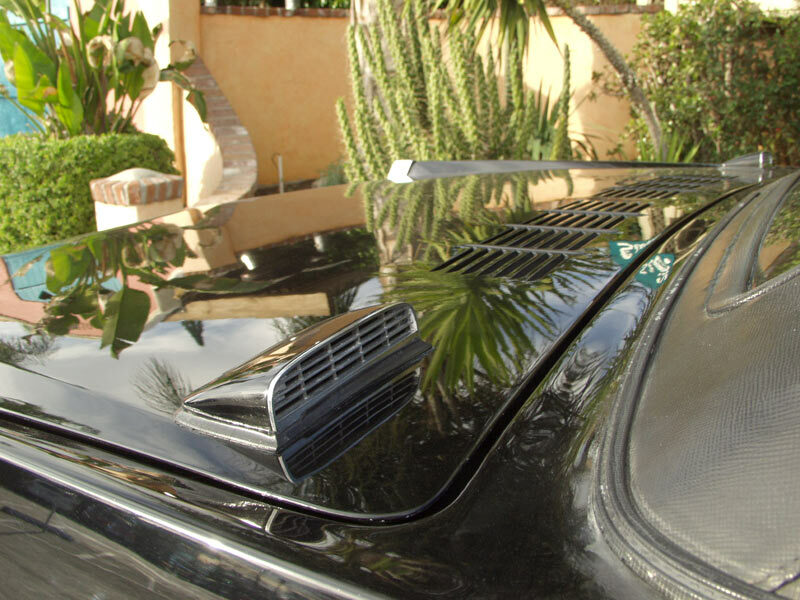 A SoCal resident since new, it has served two private owners for more than three decades, lived in a climate-controlled multi-car garage in posh Pacific Palisades, and was cared for with utter dedication by its personal Wagenmeister. This special Cadillac has traveled only 56,060 miles since new, that's less than 1,800 miles annually, on average. 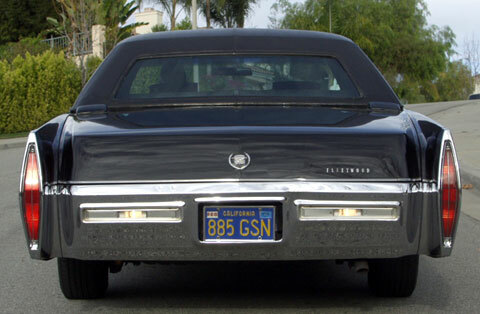 It still proudly displays its original, 6-digit, 1971-vintage California blue-and-gold license plates, front and back. The whispering giant is powered by Cadillac's 472 cubic inch monster motor. All original, as delivered from the factory, it is rated at 375 horsepower. The engine runs imperceptibly, providing an astonishing 525 ft.-lbs of torque (35 ft.-lbs more than Chrysler's fabled 426 HEMI) to propel this 5,500 pound behemoth to Freeway cruising speeds and beyond, further aided in the acceleration department by its special 3.15:1 final gear ratio. 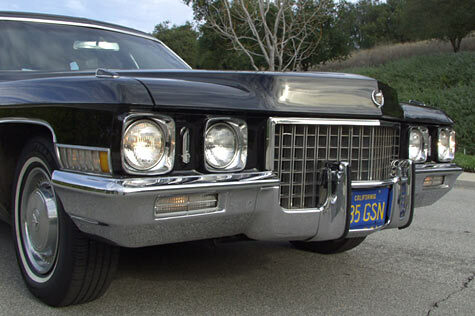 Beginning in '71, Cadillac engines were actually designed to run on unleaded fuel. Rolls Royce always stated the power output of its cars as being sufficient. 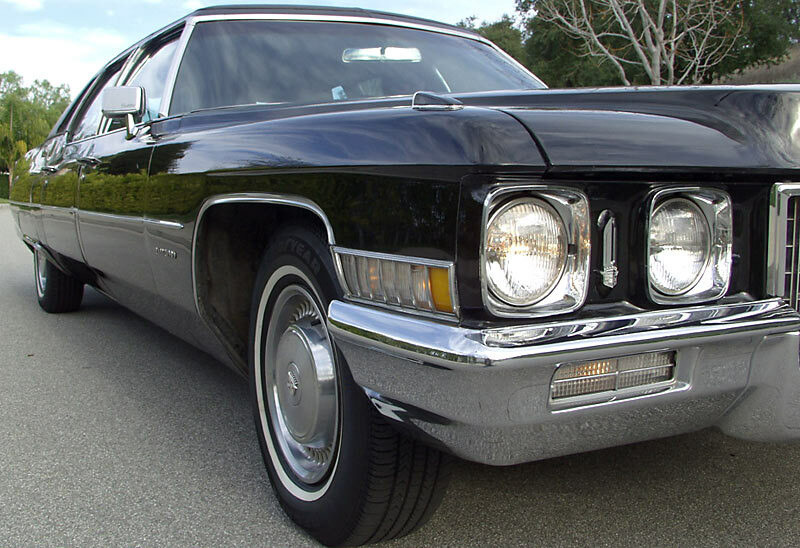 At a time when Cadillac automobiles were still regarded the Standard of the World, the folks from Michigan could boast not only of the biggest engines available; they also also yielded more than sufficient horsepower! 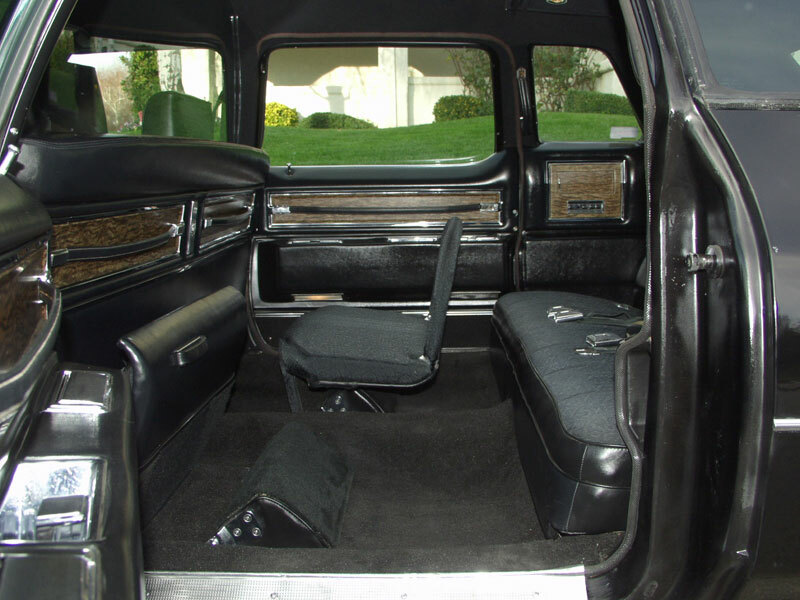 Unlike today, where somebody cuts a common 4-door sedan in the middle, adds a 27-foot extension, and cobbles together a vehicle with all of the panache of an airport shuttle or RTD bus, no rattling or creaking spoils the most exclusive and expensive ride in this unique-body-style, rear-seat-setback executive limousine; the separate frame is a single piece factory unit as is the extended formal roof. 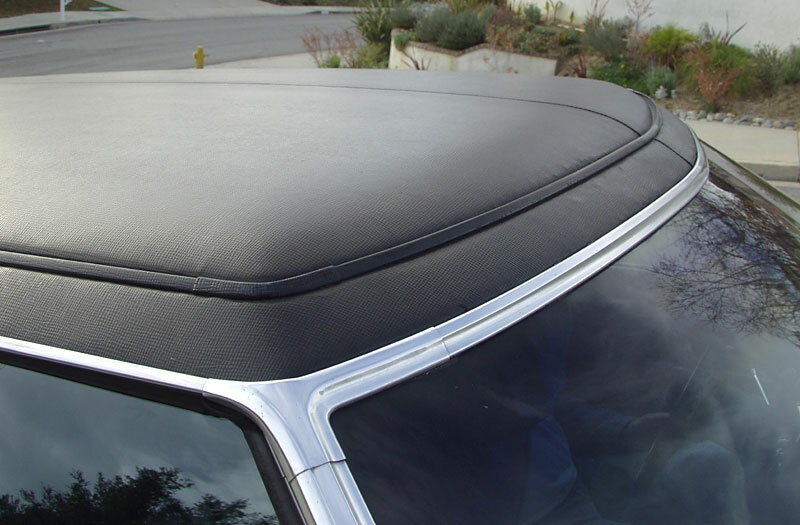 You won't ever have to worry about cracking welds and deteriorating body filler. 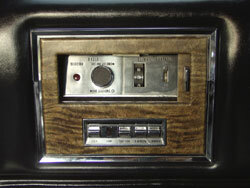 The AM/FM Stereo signal-seeking radio with rear control--exclusively fitted to the Series 75--comes with the car. However, a modern ACOUSTIC RX-703 Stereo system with trunk-mounted CD changer and multiple concealed speakers has been installed to provide a contemporary level of audio entertainment. Chauffeur and bodyguard can comfortably rest their posteriors on beautifully preserved, original, black leather. Note: the front bench seat is electrically adjustable! Original carpeting looks excellent; was always protected by thick overlays. We can't wait to inspect the passenger compartment! Factory designers lavished unending attention on this aspect of the limousine; it is equally useful as a fine boudoir or a formal comptoir. 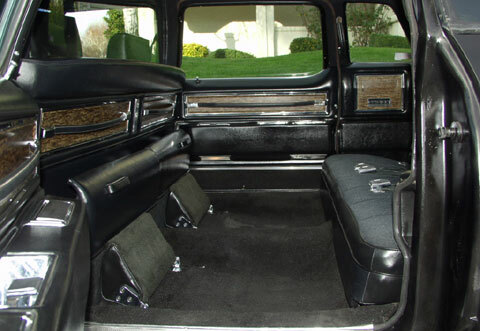 Many configurations are possible: as shown above, with auxiliary seats and foot rests stowed away, there's an amazing amount of room to stretch out and be comfortable. 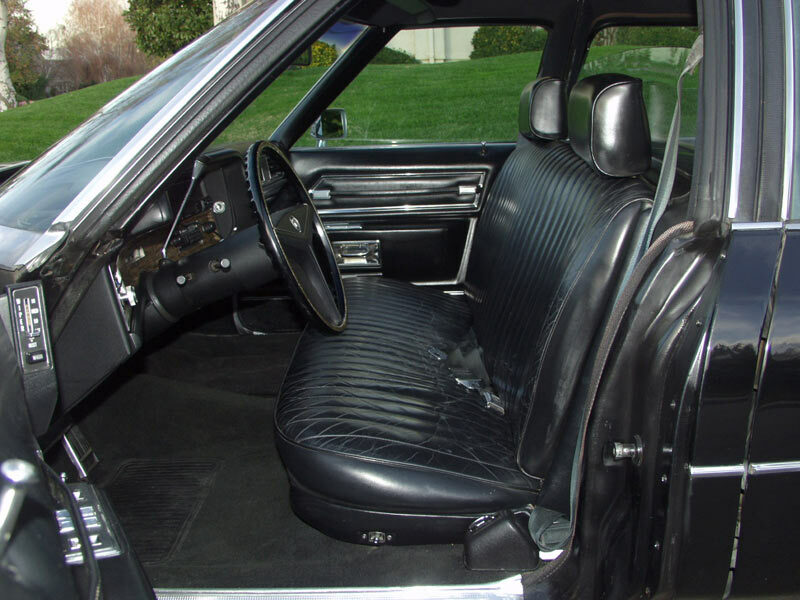 Click on the picture above and you'll see an arrangement with one folding seat and a foot rest in use. Plenty of room for three adults here. Cadillac's own, specially weaved, silver-and-black Belgian brocade cloth looks absolutely stunning, combined with finest black leather. 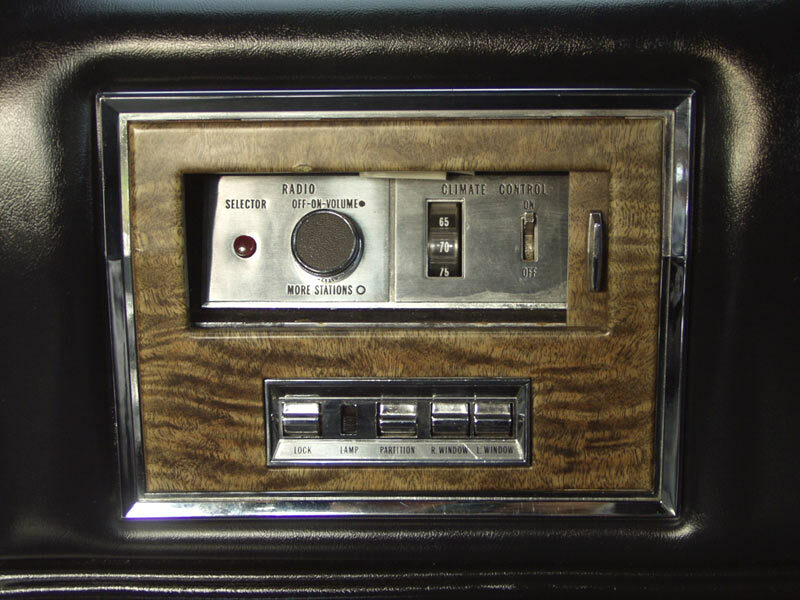 Dual control panels contain switches for glass partition and side windows as well as interior lamps and door locks; controls for rear A/C, heat, and Stereo are elegantly concealed behind a sliding cabinet door. Above: Impressively finished in every detail. Only factory-built Cadillac limousines attained this exalted standard. 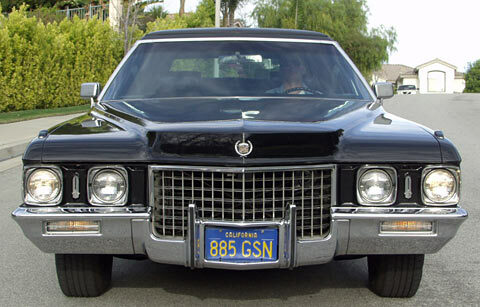 With its gleaming black paint, the big Caddy looks mightily impressive, indeed. 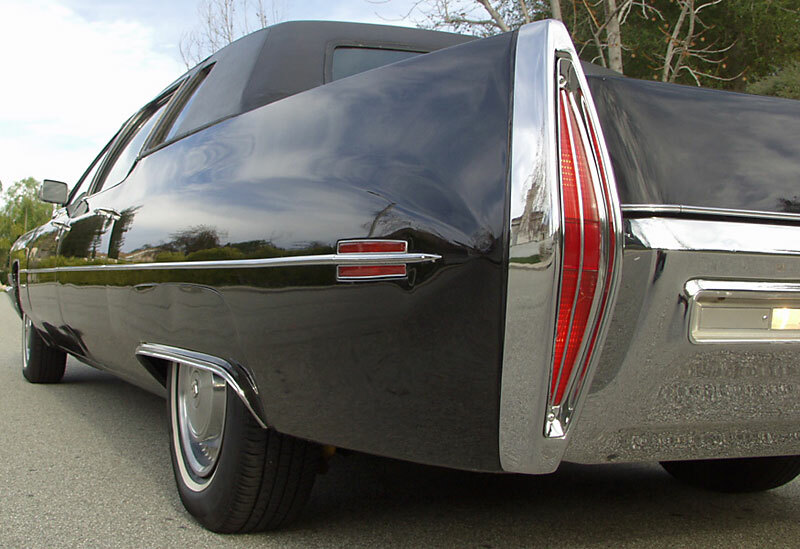 Apart from a number of small, touched-up rock chips, a few negligible blisters under the fancy original vinyl top near the back window, and about three dings on the rear bumper, there is nothing to take away from the Cadillac's inherent beauty. This amazing car would look magnificent in anyone's circular driveway, be it in Beverly Hills, or West Palm Beach. It's big, bold, and black. And it's razor straight! Car has never been in any kind of accident. 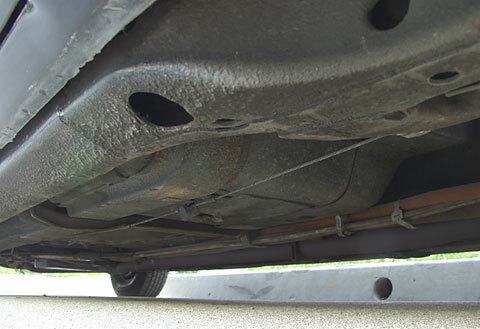 Being a Southern California resident for 33 years, it has never had any rust, never needed any metal work. All the chrome and stainless steel trim sparkles like new. 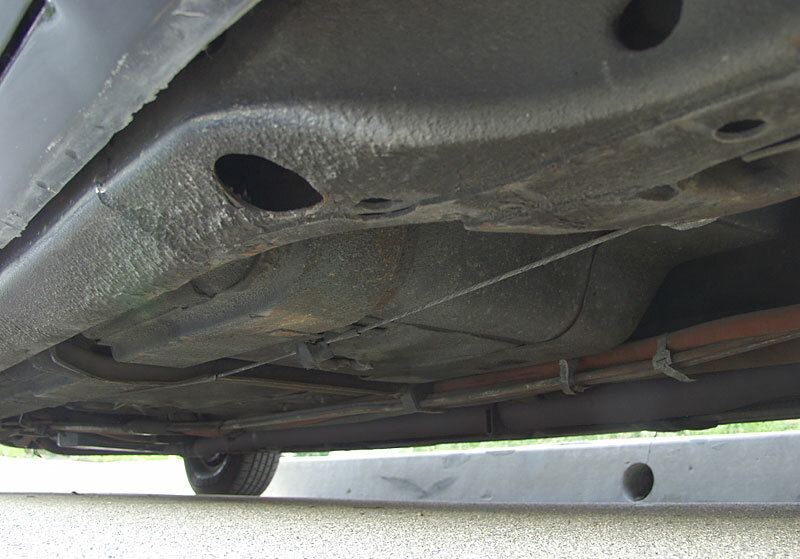 Caddy's undercarrige presents itself completely original, 100% rust free, and bone dry. No hint of non-factory undercoating or any spray can artistry spoils the picture. Being a pampered private coach, the Cadillac comes with ample literature and documentation. There are factory shop and owner's manuals, and a neat folder with 34 chronologically ordered maintenance receipts. 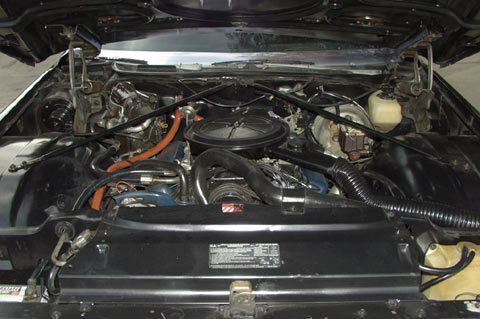 The second owner purchased the car in 1996 with 42,399 original miles on the odometer. 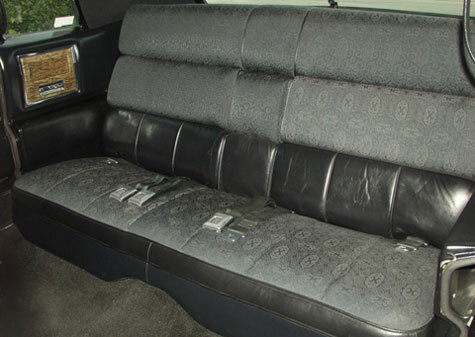 Since then, he's spent exactly $7,552.87 on perfectly maintaining this limousine. 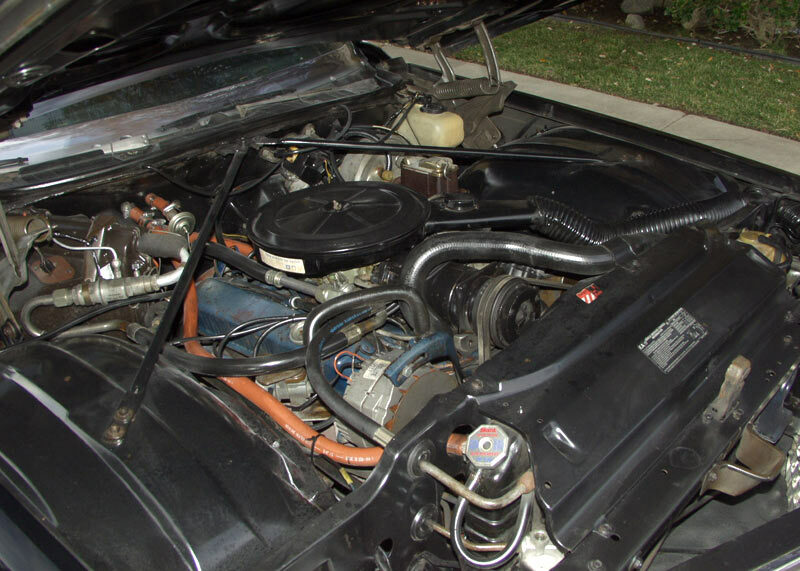 Most notably, the carburetor, fuel pump, brake master cylinder, tires, battery, and power steering pump were replaced, the rear heater was repaired, the transmission was sealed, shocks and strut rods changed, and the front suspension was rebuilt. 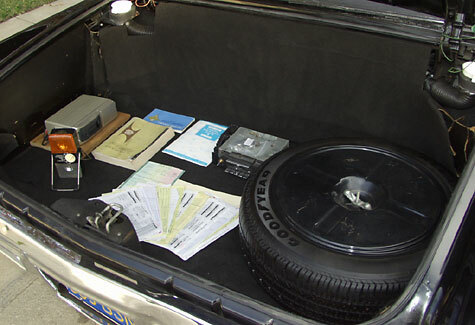 Trunk area is very clean. GOODYEAR spare is unused. 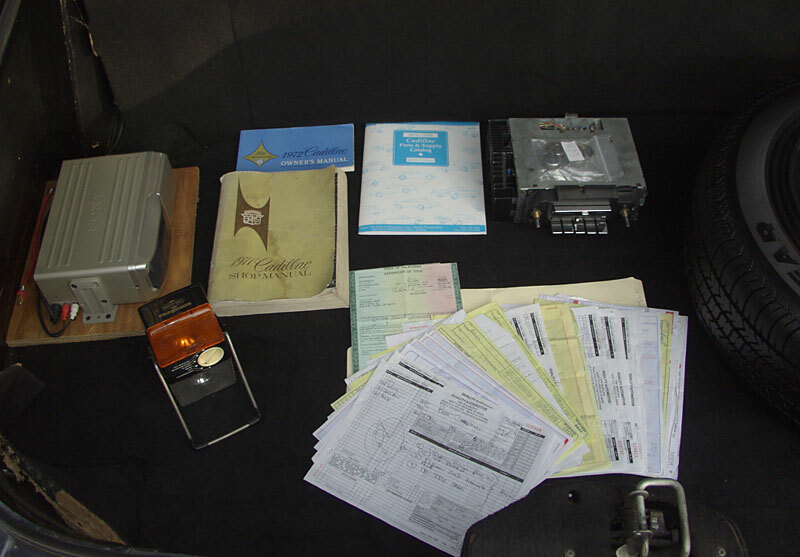 CD-Changer, original radio, manuals, and records are shown, too. So, how does this long, black Cadillac drive, you may wonder? Having owned a Rolls Royce Phantom as well as several Mercedes-Benz 600 models, I do not hesitate to put the Cadillac in their league when it comes to driving performance. 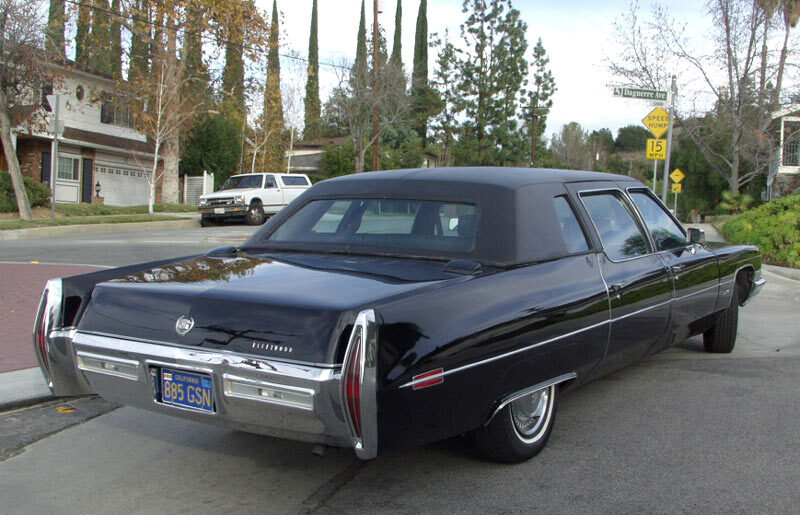 Solid, powerful, and remarkably free of intruding noise, the Cadillac is an absolute joy to pilot. I know, driving duties should best be left to a qualified chauffeur, however, should the need arise, Madame herself could pick up the kids and their friends from prep school without spoiling her perfect manicure. Everything is power-assisted; this luxury car truly floats effortlessly. Drive or be driven, a ride in the Series 75 will leave you in an elevated mood. 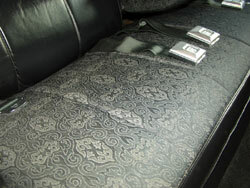 This Fleetwood limousine never fails to indulge driver and passengers with incredible comfort and untold amenities. 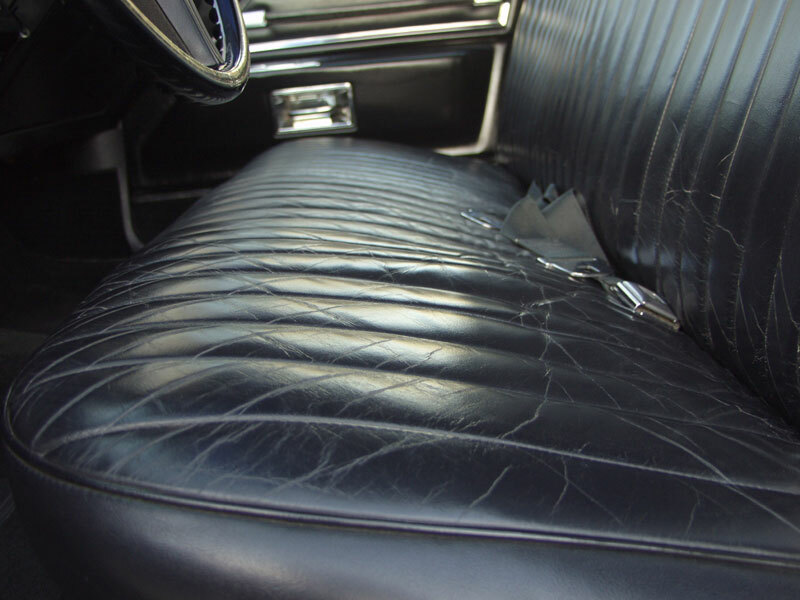 Here's a rare, factory-built Cadillac limousine, an original low-mileage California car, rust and accident free, pampered by a caring owner. 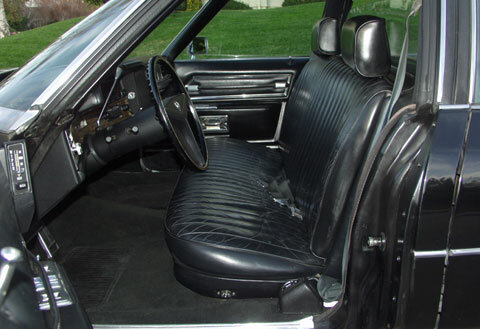 Only a lucky confluence of circumstances could create such an unique opportunity to purchase the best car Detroit had to offer in 1971. Copyright © 1999-2004 by Californiaclassix.com™. All Rights Reserved.